Part of the uncertainty arises because of unforced variability—changes that would occur even in the absence of increases in CO2—but part of it arises because of the need for models to simulate complex processes like clouds and convection. Recently, climate scientists have tried to narrow the ranges of the uncertainty in climate models by using a recent revolution in computer science. Machine learning, which is already being deployed for a host of applications (drug discovery, air traffic control, and voice recognition software, for example), is now expanding into climate research, with the goal of reducing the uncertainty in climate models, specifically as it relates to climate sensitivity and predicting regional trends, two of the greatest culprits of uncertainty. Paul O'Gorman, an associate professor in the MIT Department of Earth, Atmospheric and Planetary Sciences (EAPS) and member of the Program in Atmospheres, Oceans and Climate, discusses where machine learning fits into climate modeling, possible pitfalls and their remedies, and areas in which the approach is likely to be most successful. A: Present-day climate models are already very useful on the one hand, but they're also faced with very challenging problems, two of which you mentioned—climate sensitivity for a doubling of carbon dioxide and regional aspects of changes in the climate, for example, how rainfall changes in a certain country. For both of those issues we would like to have more accurate climate models, and they also have to be fast because they have to be run for more than a thousand years, typically, just to get to them into the current climate state before then going forward into future climates. So it's a question of both accuracy and efficiency. Traditionally, climate models are largely based on physics and chemistry of the atmosphere and ocean, and processes at the land surface. But they can't include everything that's happening in the atmosphere down to the millimeter scale or smaller, so they have to include some empirical formulas. And those empirical formulas are called parameterizations. 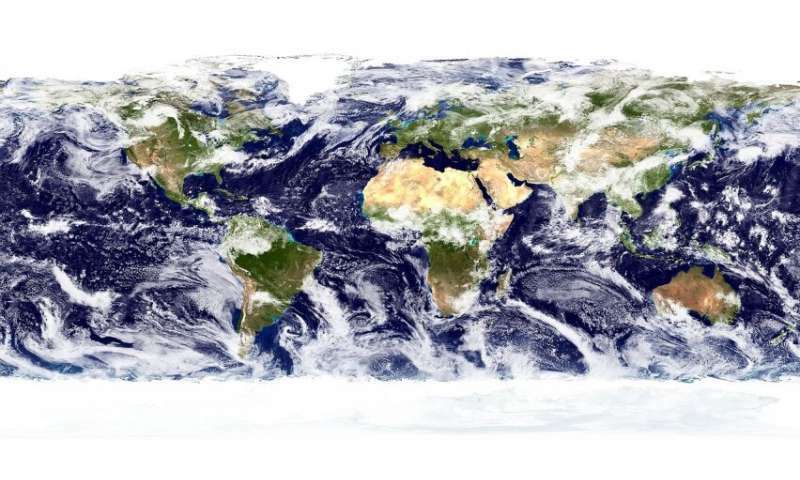 Parameterizations represent complex processes, like clouds and atmospheric convection—one example of which would be thunderstorms—that happen at small scales compared to the size of the Earth, so they're difficult for global climate models to represent accurately. One idea that has come to the fore in the last couple of years is to use machine learning to more accurately represent these small-scale aspects of the atmosphere and ocean. The idea would be to run a very expensive, high-resolution model that can resolve the process you're interested in, for example, shallow clouds, and then use machine learning to learn from those simulations. That's the first step. The second step would be to incorporate the machine-learned algorithm in a climate model to give, hopefully, a faster and more accurate climate model. And that's what several groups around the world are exploring. A: That's a big question mark. What we've found so far is that if you train on the current climate and try to then simulate a much warmer climate, the machine learning algorithm will fail because it's relying on analogies to situations in the current climate that don't extend to the warmer climate with higher temperatures. For example, clouds in the atmosphere tend to go higher in a warmer climate. So that's a limitation if you only train on the current climate, but of course training on warmer climates in high-resolution models is also possible. A: I was suggesting that we should train our machine learning algorithms on very expensive high-resolution simulations, but that only makes sense, of course, if we have accurate high-resolution simulations for the process we are interested in. What we've been studying—atmospheric convection—is a good candidate because we can do quite accurate high-resolution simulations. On the other hand, if one was interested in, for example, how the land surface responds to climate change and how it interacts with the atmosphere above it, it's more difficult because there's lots of complexity. We have different types of plants, different soil. It's very heterogeneous. It's not as straightforward to get the truth from which you want to learn from models in that case. And then if we say, "Well, for aspects of the climate system that don't have accurate expensive simulations, can we instead use observations?" Perhaps. But then we come back to the problem of trying to generalize to a different climate. So, I definitely think there are different parts of the climate system that are more amenable to the machine learning approach than others. Also, some aspects of climate model simulations are already very good. Models are already doing well in simulating the large scale fluid dynamics of the atmosphere, for example. So those parts of climate models are very unlikely to be replaced with machine learning approaches that would be less flexible than a purely physics-based approach.